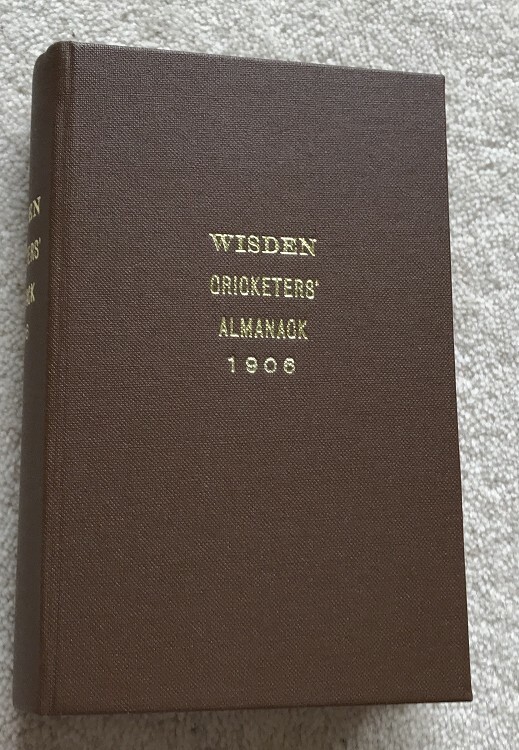 This is a rebound 1906 Wisden with the Original Covers bound within, it is in Very Good condition, This rebind is in brown boards with gilt to the front and the spine. The covers are excellent. Internally nice and clean with a great photoplate. A lovely book.